Statistics show that as many as 60% of Scots die without making a Will. For those left behind, this can make loss more troubling than it needs to be. If you die without a Will, the process of appointing executors who are legally necessary to administer and settle the estate can incur major extra costs and necessitate lengthy legal processes. Joint bank accounts and assets can be frozen while outcomes are determined. Making a Will is a relatively simple process which can ensure that estate settlement goes as smoothly and rapidly as possible for those left behind. You and your family will find that making a Will gives you peace of mind. If you have under age children then you can set out your wishes for them clearly. Over the years we have seen many 'home made' / DIY Wills. The majority of these contain mistakes, some of which make the Will invalid. Many people believe that making a Will takes a lot of time, effort and money. In reality most family Wills can be instructed, sometimes even by telephone, but mostly after a ten minute meeting. The cost through Barnetts is modest. Some people think that they know who their beneficiary will be so it is not necessary to make a Will, unfortunately this is not always the case. The only way to ensure your wishes are carried out is to make a proper, legally binding Will. To find out more read this Scottish Office pamphlet. Please never hesitate to ask our advice. We are always happy to help. When someone dies it is important to seek legal advice to help with winding up the estate. It is necessary to apply to court for Confirmation to enable the executor to handle the estate. 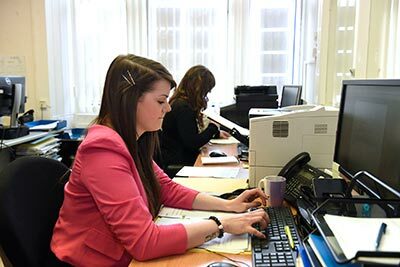 We can handle this on your behalf, inclunding ingathering the estate – which can be in the form of shares, property, bank accounts, dealing with the sale of property and depending on the value of the state helping deal with inheritance tax issues. It is important to obtain legal advice. Please contact Alastair or Mark to discuss further.